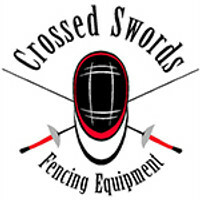 Crossed Swords Fencing Equipment was established in 1993 and is located in Winnipeg, Manitoba. We are a home based family business run by fencers and coaches. Initially established to provide our club with equipment, we have grown over time and established our online store in 2011. We pride ourselves in providing only the best in quality and now directly import high quality fencing gear from PBT in Budapest, Hungary and Leon Paul in London, England, with complimentary world class chest protectors from QPSport in New Zealand. When possible, Crossed Swords support fencers by attending competitions in western Canada and providing sponsorship to tournament organizers. Place your order online and make your credit card payment - Ground shipping by Canada Post or Fedex is used as default. If you prefer a faster shipping method, these are available for an additional cost as indicated. We Accept and eInterac online and in store as well as in store. SHIPPING: We use fixed shipping costs in Canada and US with shipping by Fedex or Canada Post. Shipping to other locations is by quote. Please note that we typically review online orders and questions within 24 hours in the evenings. Thank you for your patience.